The ProCeed the first shooting break is the first of its kind launched by Kia. Our task was to launch a digital driven launch campaign for the European market. The launch claim “Bold Move” is picking up the range communication claim “Nice move” from the previous Ceed range campaign. 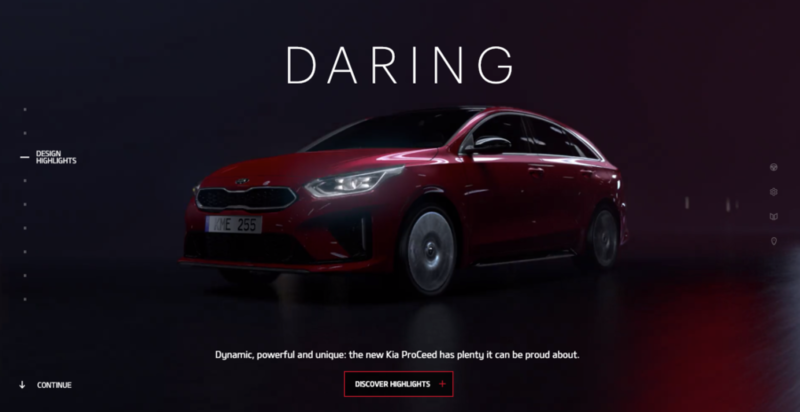 At the same time”Bold Move” marks a step forward for Kia’s brand and product communication. The campaign is a design centric approach that celebrating a new daring design language and confidence of the brand. “Bold Move” describe the Car, the brand and the attitude of the aspirational target group shown in the film.